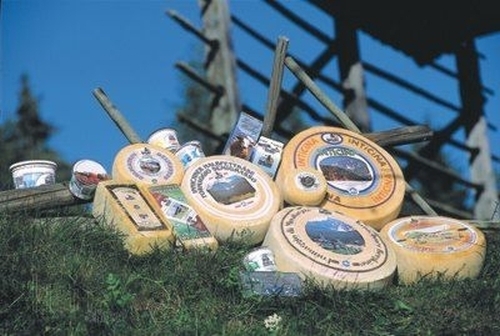 We can offer you the original San Candido cheese flavoured with ramson and tomato. Being produced following a traditional recipe, only quality controlled milk small local farmers is being used. This cheese is mild to aromatic with pea sized punch hole. It is in the maturation for up to 3 weeks. 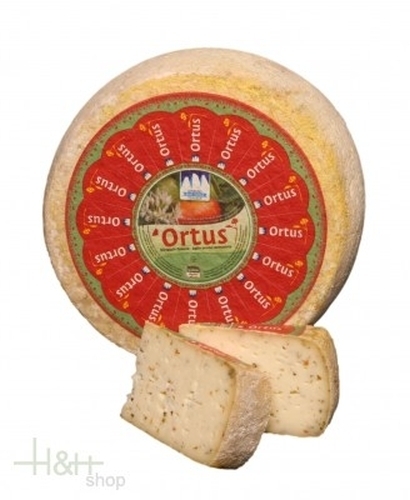 Because of the short maturation period of only 3 weeks, this mild type of cheese keeps lithe, soft and aromatic. It should not be missing at any breakfast buffet. 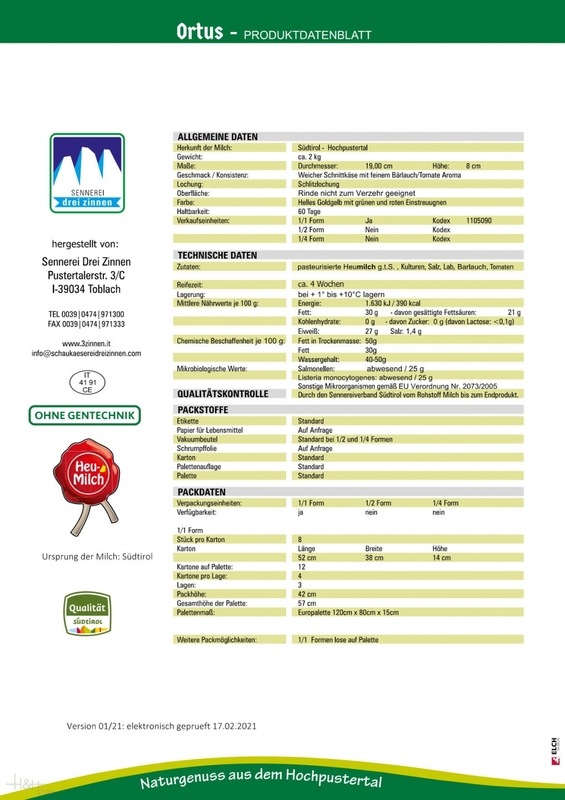 The "ramson + tomato" cheese, just as the smoked cheess (also available in this shop) belong to a new line of products of the alpine dairy "Drei Zinnen" that should be known for a great variety of tastes but also for the quality of the small, 600 gr forms. Other types in this size are the "butter cheese and a small cheese with herbs, not available yet. After selling the product every single piece is getting packaged air tight under vacuum. Like this we can guarantee the best quality and secure delivery to you home. We are always available for any further questions. If you need details about us, a special offer or information regarding reselling, just contact us. Very tasty. Thank you for the fast delivery to Russia. Very tasty. Thank you for the fast delivery to Russia. ..